What are the benefits of using Pines Organic Wheatgrass supplement? 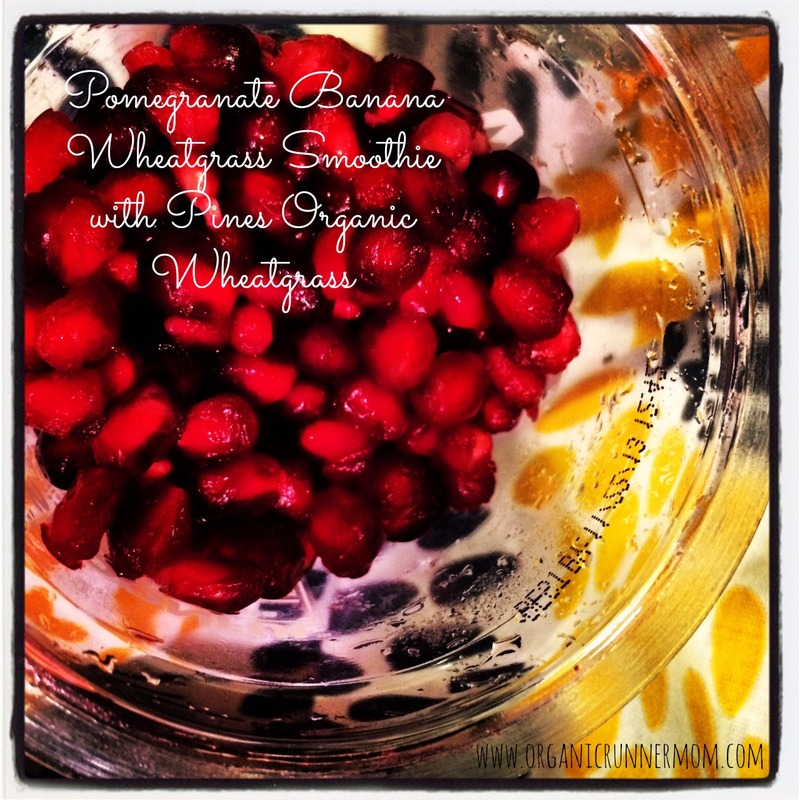 Have you ever tried Wheatgrass? It is a cereal grass. It has long been touted as a superfood because it contains high amounts of Chlorophyll, vitamin B12 Vitamin A and more. Taking a this supplement can give you an additional serving of green leafy vegetables. Pines Organic Wheatgrass is said to provide great fiber for a healthy colon and also to have essential nutrients for healthy blood. When you think of wheatgrass you probably imagine trays of this short grass being grown in your local natural food store. 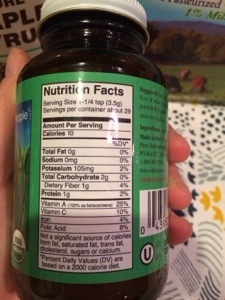 I was recently asked by Pines (the Wheatgrass People) to sample their powdered wheatgrass supplement. I was sent one 10 oz. bottle (retail price $32.50) to try. I was surprised to discover that it is is actually gluten free despite what the name suggests. *Sponsored Post: I was provided 1 10 oz. 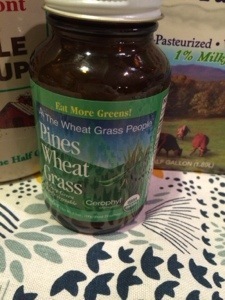 bottle of Pines Organic Wheatgrass for review. I was not compensated in any way for this review, and simply exchanged my time for product. As always, all thoughts and opinions are my own. My Experience with Pines Organic Wheatgrass. I have only started using Pines Wheatgrass as a supplement but am curious to see if there is a noticeable change in my overall energy and endurance. Wheatgrass is a Cereal Grain and its gluten free! 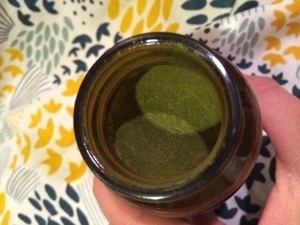 The first thing you notice when you open the Pines Wheatgrass is its bright green color. I have to admit that I was a bit unsure about how it would taste so have started of by using it in smoothies. You can also simply dissolve 1 and a quarter teaspoon in an 8 oz. glass of water or juice. I have read that some people even prepare it as a tea. I decided to make a smoothie using some pomegranate seeds that were in my fridge. The recipe needed a bit of tweaking to get the flavors right as the pomegranate seeds were a bit tart. The Pines Organic Wheatgrass gave the smoothie a green color and I think I could have blended it a bit longer so the supplement had time to mix in. 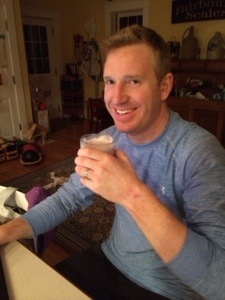 I had Organic Runner Dad be my helper taste tester. I am curious to see what you think! Organic Runner Dad. My guinea pig. Add all ingredients to blender and mix to desired consistency. Drink and enjoy! Have you ever tried using a Wheatgrass supplement? Did you notice any health benefits? I have used Amazing Grass in the past but didn’t really get into the taste at all. The jury is still out for me on Wheatgrass. I am going to continue working on recipes with it to master how to use the flavor of Wheatgrass.